A confabulation of old men sat on the bench outside the café on the main praça in São Miguel de Machede on a quiet weekday morning. We joined them in cups of meia de leite perched on a post as we killed a little time before our drive through the vineyards of Casa Relvas near Évora. 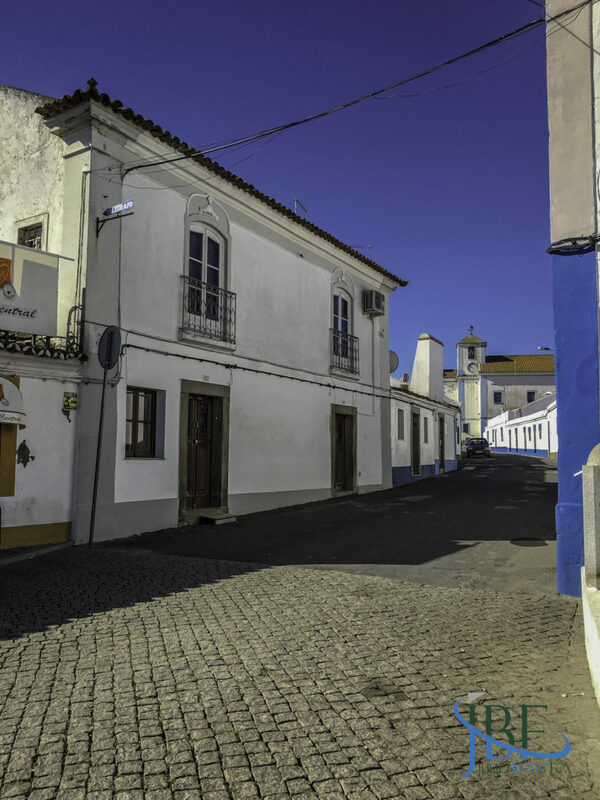 The Alentejo houses run in rows through the towns; the ones that have been around for a while are low, with thick walls to keep out the summer’s heat and trap in the stove’s warmth in winter. Their bright whitewash is edged in blues, and yellows, and greys, distinguishing them from those on the other side of the border with Spain. There’s more color here, a softer accent to the language, and a passage of time that slows as the sun comes to its zenith every day. 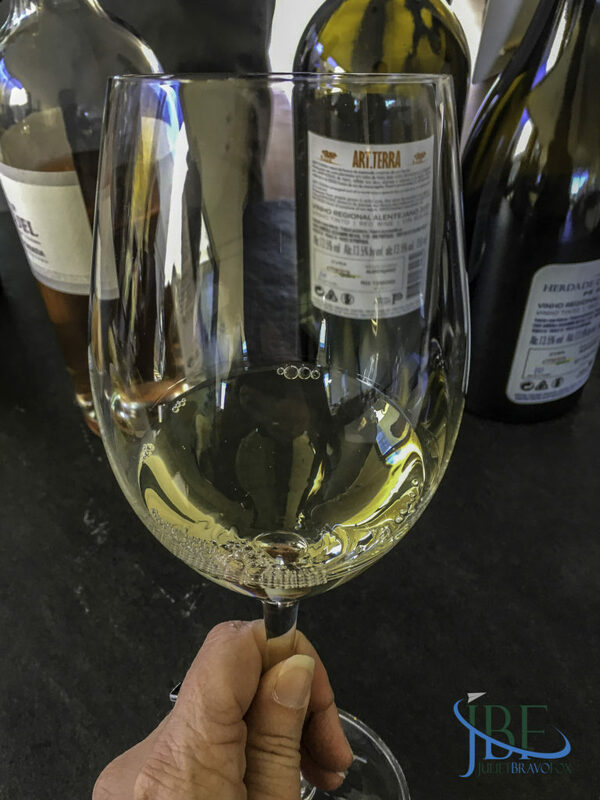 It’s important to understand the Alentejo a bit before dropping into one of its herdades for a taste of wine. 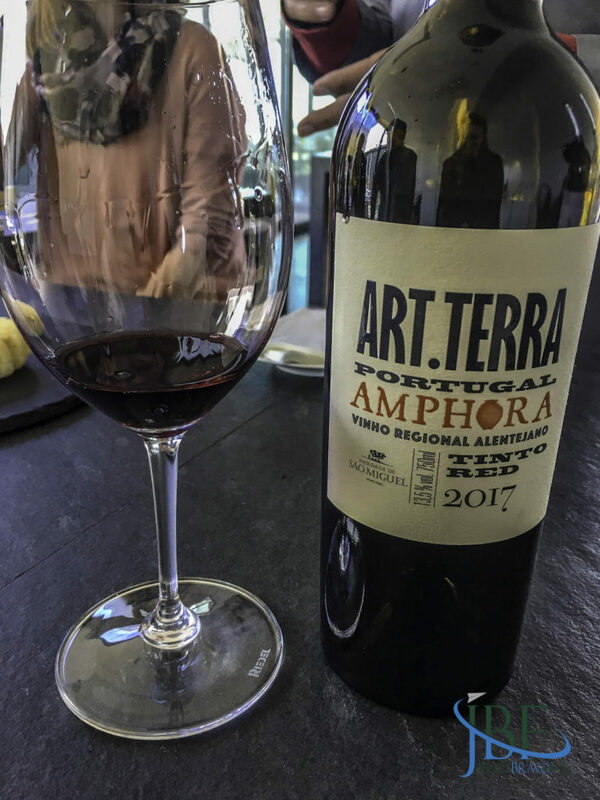 Though the regional cooperativas may have been around for a century or so it seems, progressive wineries have taken advantage of the large region’s wide open spaces to strike out in new directions—to make over the historic Alentejo’s wine into engaging, consumer-driven styles. Casa Relvas makes for an excellent example of this forward thinking. Alexandre Relvas, former Secretary of State for Tourism in Portugal from 1991 to 1995, purchased the estate in 1997, planting 35 hectares of vines by 2001. 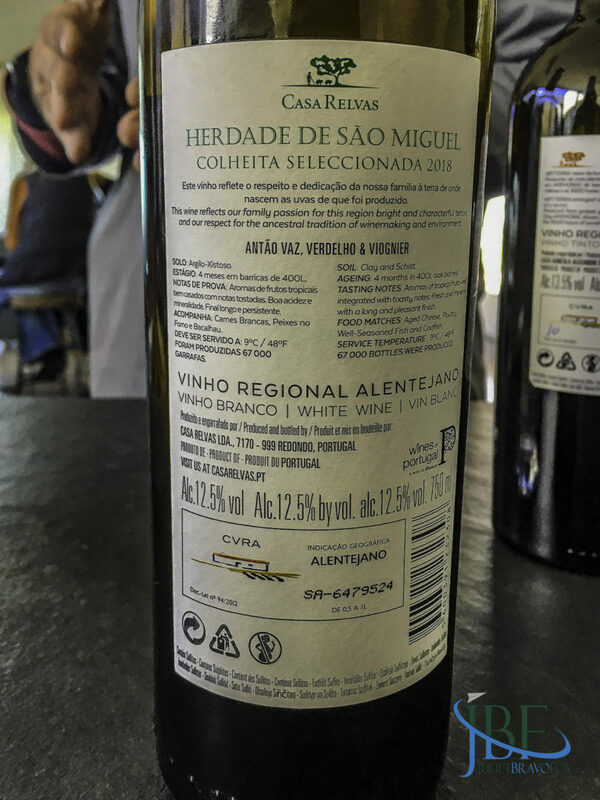 Now, the company oversees 250 hectares, according to our host Paulo Peças, part of the enological team at the estate. 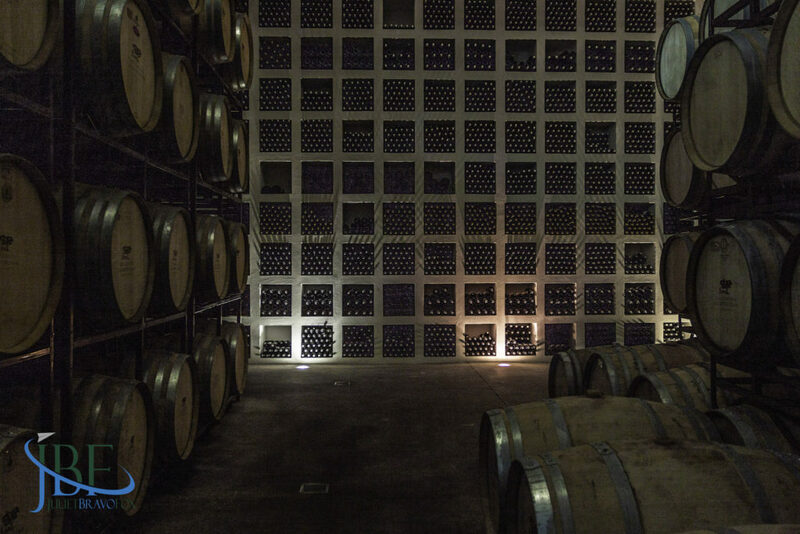 And they buy grapes from 100 hectares more, in order to fulfill the annual production of about 6 million bottles. 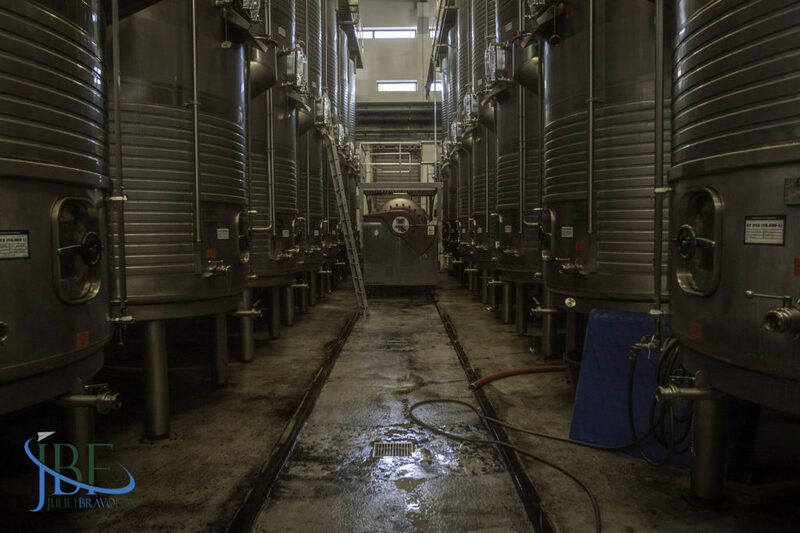 That amount means that in one day, the estate produces about 25,000 bottles—what the company made in its first full year of production in 2003. That stunning growth has been built on a modern foundation. 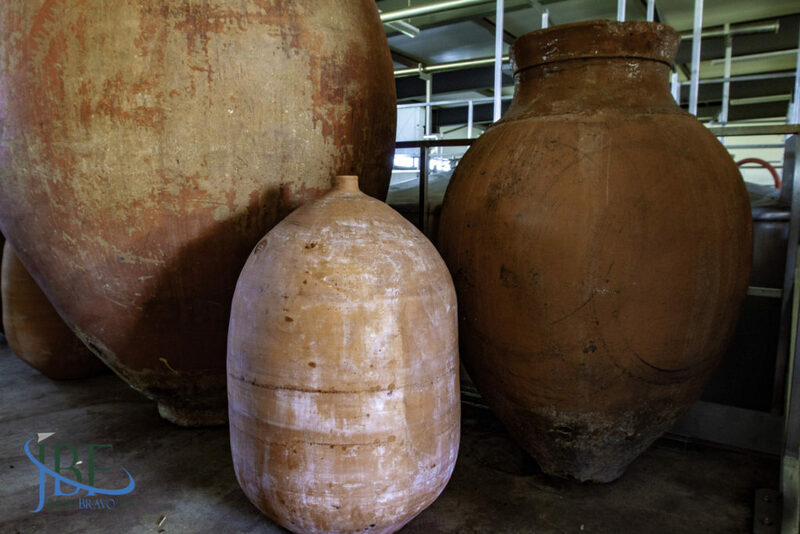 Everything within the winery is new, with the exception of one special series of wines—the talha wines of the Art.Terra Amphora project, which are produced in the traditional clay vessels of the Alentejo region. 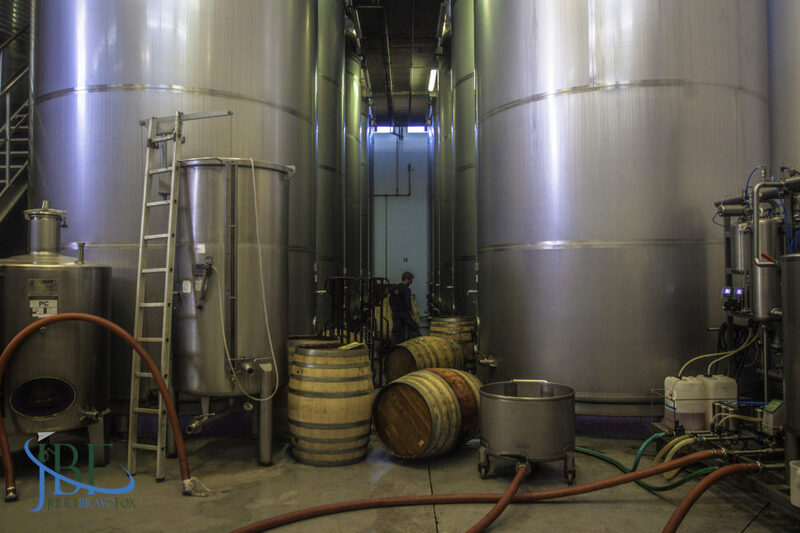 These wines follow the old ways of crushing then fermenting the grapes within the talhas, which are sealed with a paste formed of beeswax, pine resin, and herbs. We found the red blend that we tried during our tasting intriguing. 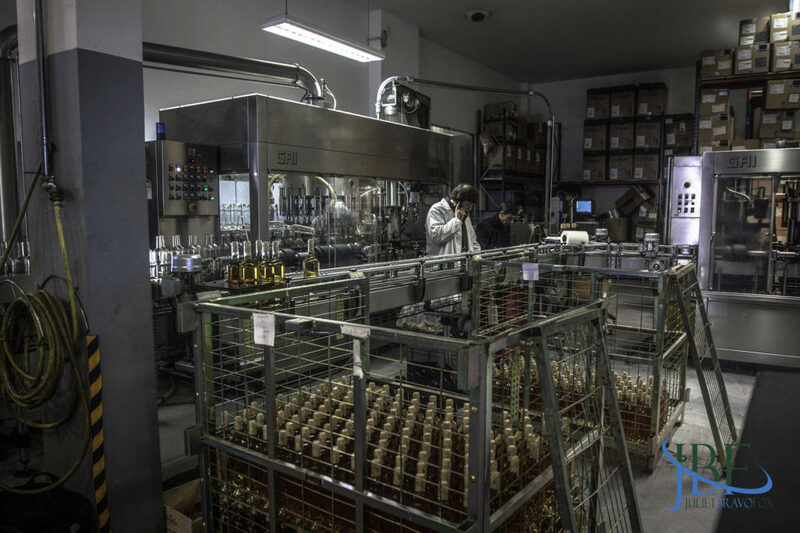 Casa Relvas now exports 70% of its production, to 35 countries. Much rosé goes to Belgium, says Peças—for moules frites, perhaps? We tried the most recent rosé, the 2018 just released, and found it would, indeed, make an excellent match for mussels and similar Provençal-style preparations. We made our visit just as abrolhamento (budbreak) had arrived in one of the plots in Vidigueira, of Alicante Bouschet. The rest of the vines surrounding the main winemaking facility stood bare, still, though with a weekend of strong sun we could imagine many more springing to life. 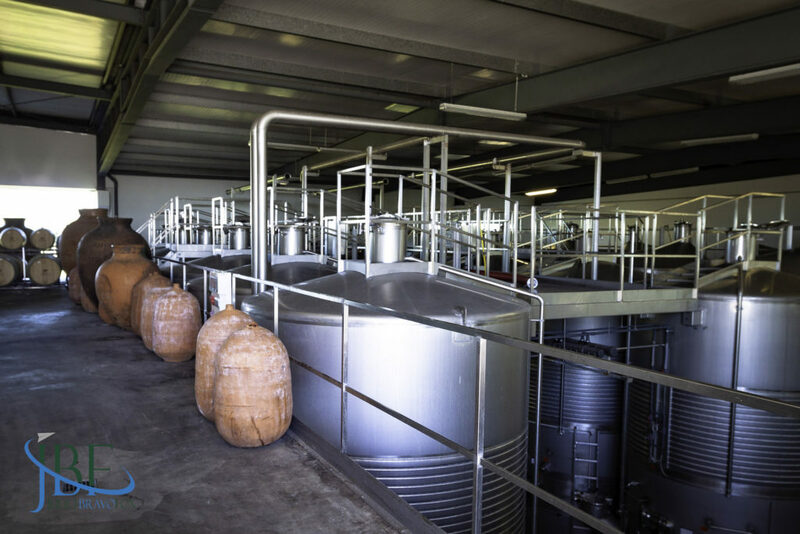 On our tour through the facility, Peças showed us the two-level tanks used for fermentation and storage, along with new destemming, crushing, and bottling machinery. 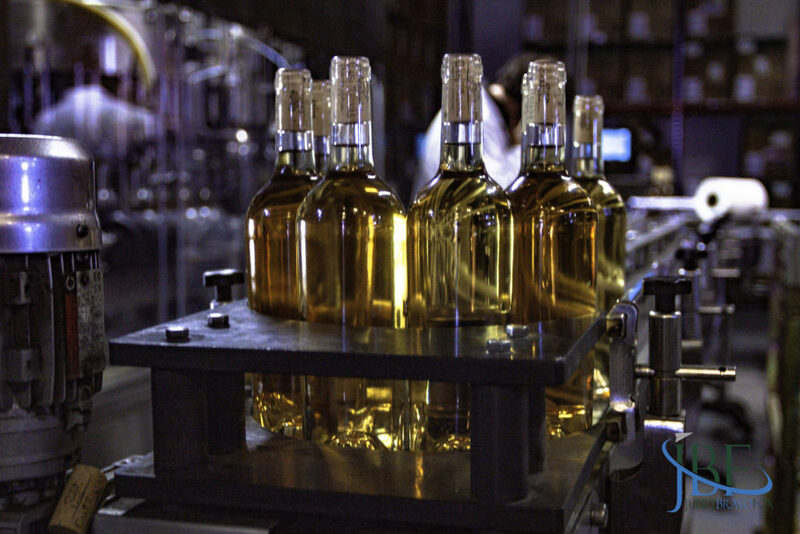 The company will soon install a second bottling line parallel to its current one to keep up with production. The two adjacent to each other can also support each other in the event of downtime—though that is rare, according to Peças. 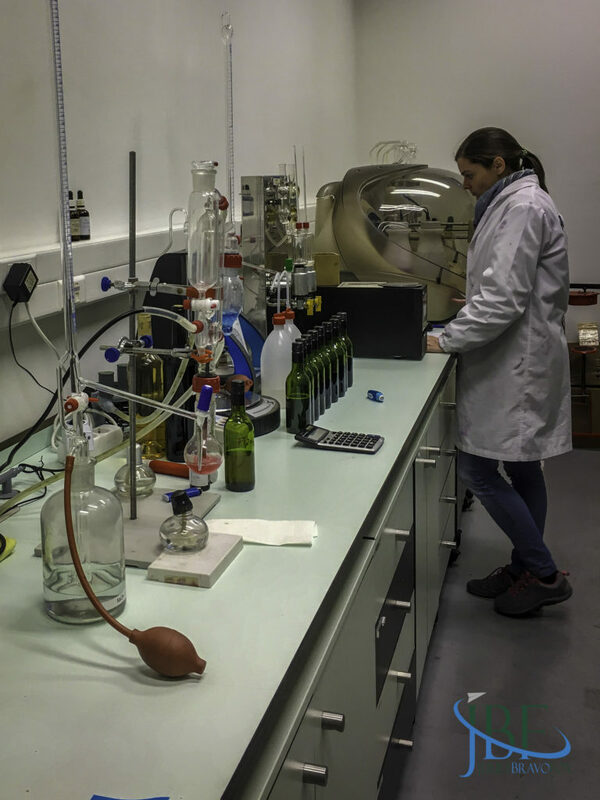 He stopped us at the laboratory, where testing of the grapes and wines in process takes place, along with his office at the control center of the facility. A large board helps keep track of which wines are in a given stage of production. It feels efficient, clean, and poised for more experimentation. 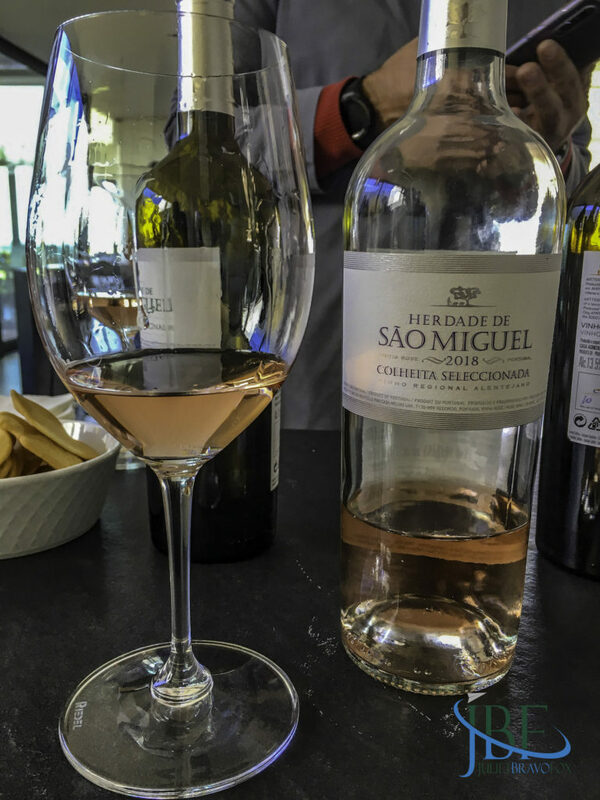 Following the personalized tour, we joined a trio of ladies from Germany for our tasting, but the setting stayed intimate as Peças walked us through the sampling of wines from the extensive portifolio. I found his selections gave us a very good represenation of the estate’s breadth and quality—and from that standpoint, they ranged from excellent picnic or lunch wines (the Herdade de São Miguel Branco and Rosé) to complex (the Escolha de Enologos) to intriguing and artful (the Art.Terra Amphora and the Pé de Mãe). 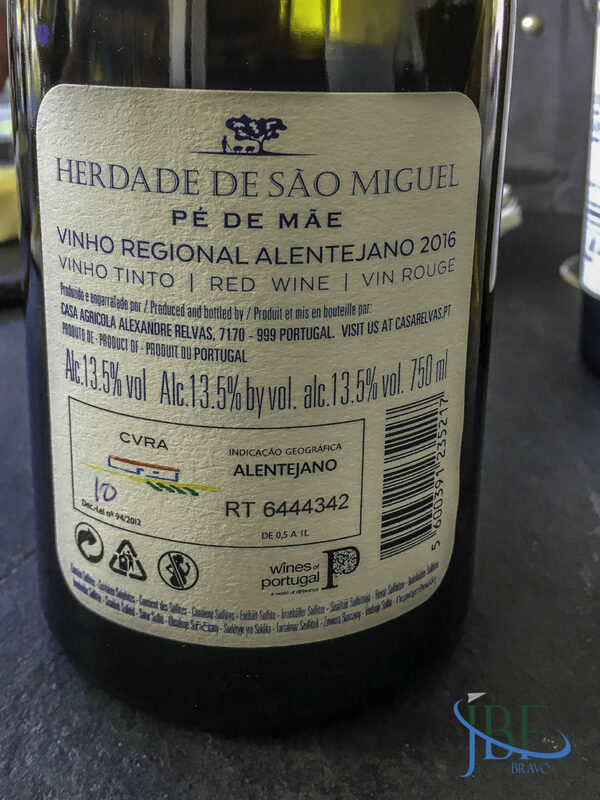 These wines join others from the Herdade de São Miguel series that we’ve enjoyed before in showing what a modern approach to classic winemaking can do to take Alentejo to the next level. 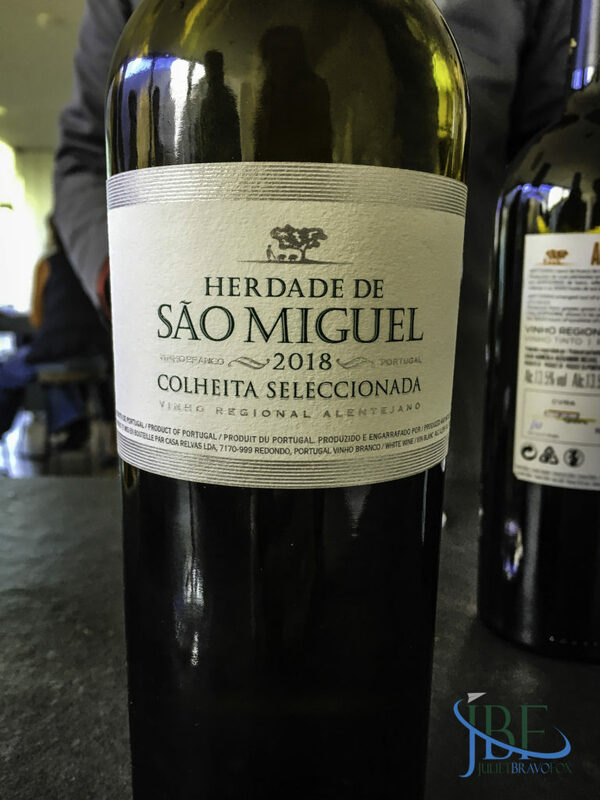 From a blend of Antão Vaz, Verdelho, and Viognier grapes. Bottled 1-2 months ago. Some oak fermentation. 50,000 liters made. Medium bodied, with moderate legs. Gardenia, green fig fruit aromas. Lemon leaves, key limes on the palate. Tart finish. 12,5% abv. From a blend of Trincadeira, Aragonez, and Alicante Bouschet grapes. 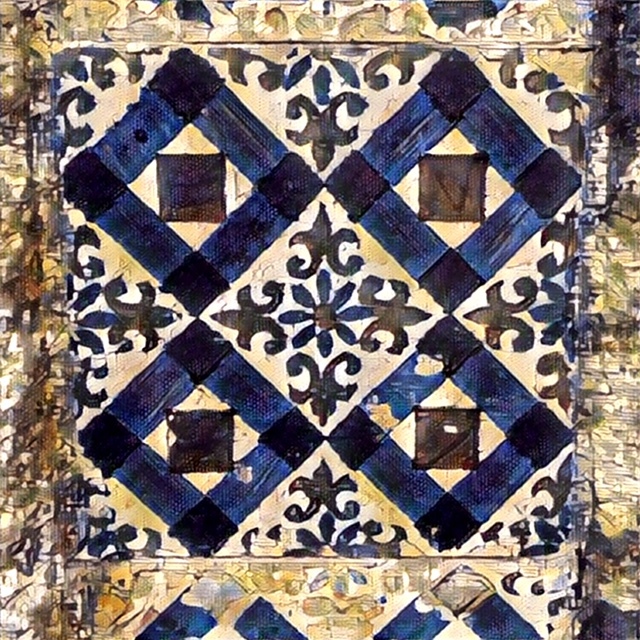 Aromas of beeswax and resin from the seal in the talha. In roughly the same blend as people made 100 years ago. The wine stays in the talha until São Martinho Day, November 11, in order to be certified as talha wine. Racked off into small talhas, and kept for 1-2 months there. Ripe currants, warm soil, as well, on the nose. Soft mouthfeel, light to medium tannins. Earthy flavors, with dark berries. 13,5% abv. 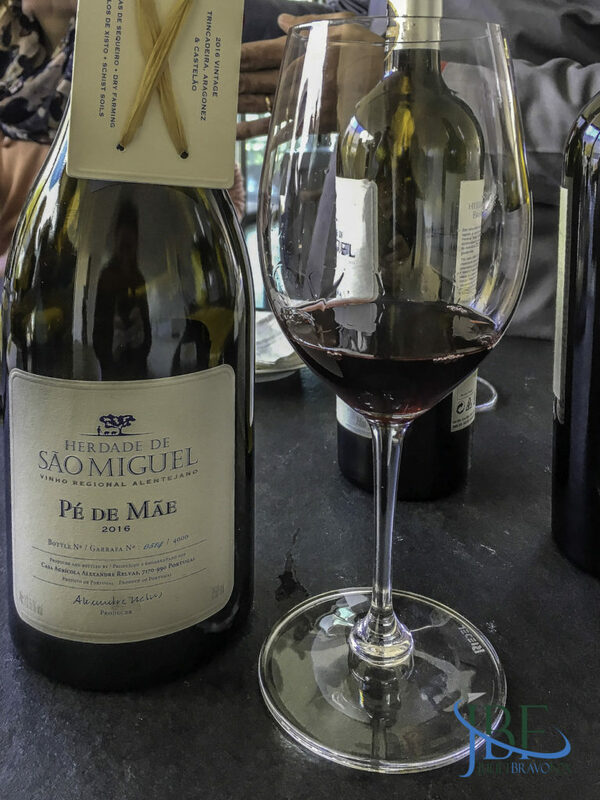 From a blend of Touriga Nacional, Touriga Franca, and Alicante Bouschet grapes. 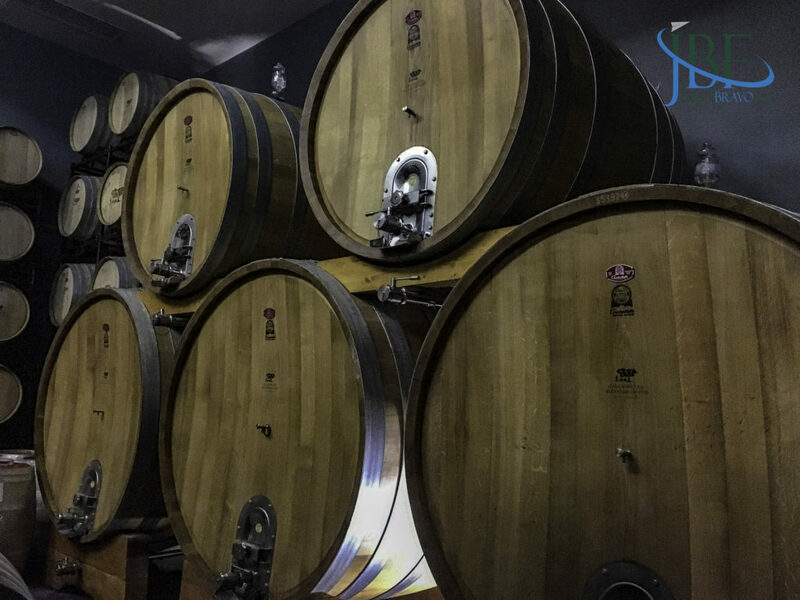 The wine spends 12 months in barriques. Dark plum color. Strong legs, medium body. Fresh dark raspberries, cherries, touch of game, hint of cough lozenge aromas. Medium tannins, with a soft landing. Dark raspberries and cherries on palate, with a bit of a confiture sensation. 14% abv. 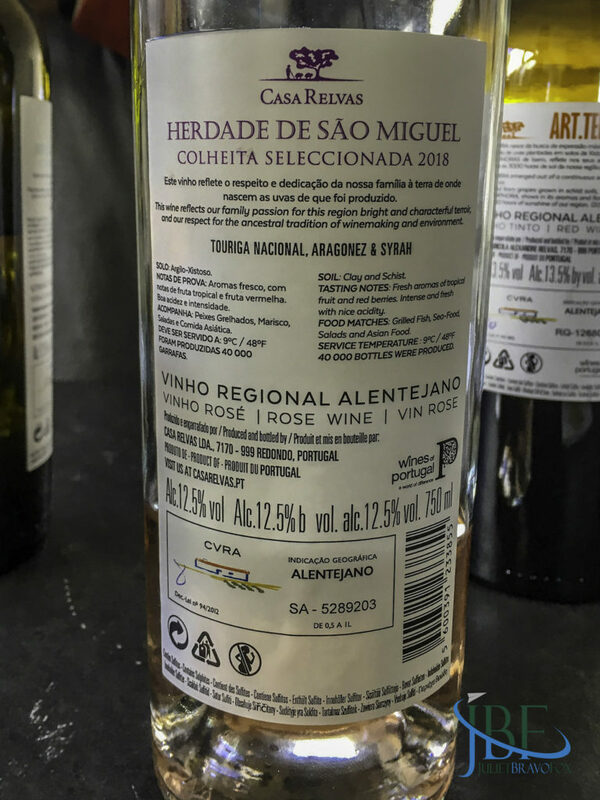 From a blend of Trincadeira and Aragonez grapes. From a special part of the vineyard that sources the shoots for transplanting new plots. Aged in barriques more than one year. Garnet color. 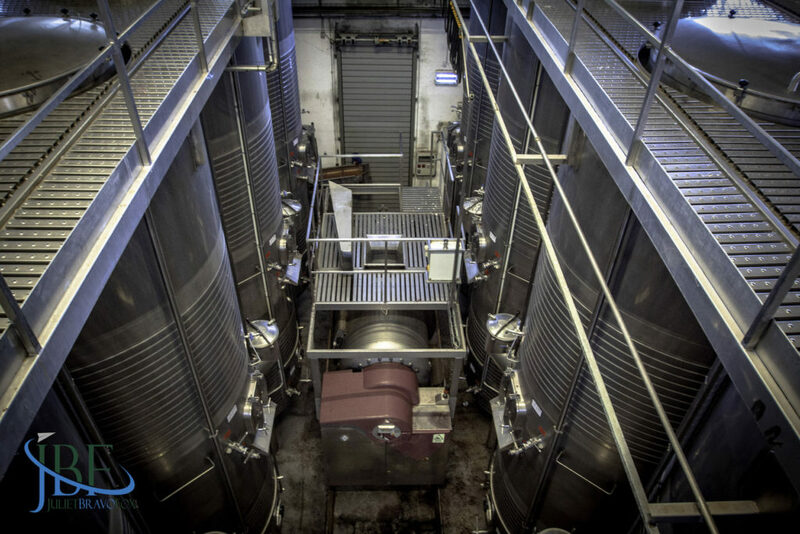 The 2016 was the first year the wine was made. Light to medium body. Plum flowers and fruit aromas, with a touch of mint. Elegance, with not much on the back end. 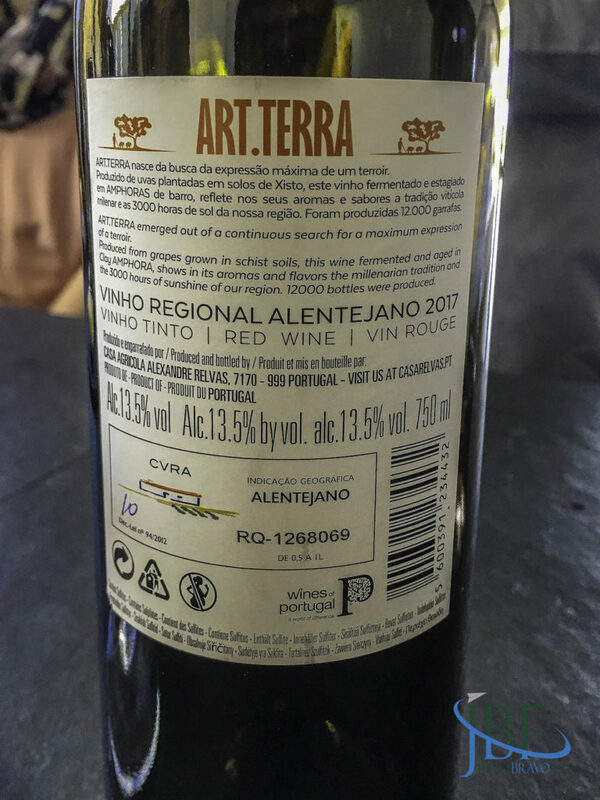 Soft tannins—the opposite of routine Alentejo wine.